At 700 metres Wessex Raceway is one of the largest indoor kart circuits in the UK and together with its fast and grippy tarmac surface it makes for an exciting race experience. The karts are 270cc Biz machines that won’t hang around on something this size and there are a good range of events to choose from. Wessex Raceway is on the A354 between Salisbury and Blanford Forum. A 30-minute open (non-exclusive) practice session driving single-engine go-Karts. Three 10-minute races starting from different places on the grid followed by trophy presentation. A 60-minute open (non-exclusive) practice session driving single-engine go-Karts. An exclusive adult-only event: 10-minutes qualifying plus a 40-minute non-stop relay race for teams of TWO drivers. Parties At Wessex Raceway last for around 60 minutes and each child will have 30 minutes on the track. Wessex Raceway private Karting Parties are available to drivers aged 8-13 on Tuesday, Wednesday, Thursday and Friday afternoons between 4pm-5pm, and Sundays at 10am or 4.30pm. 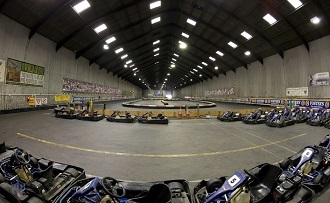 The Party Package includes: Track time (with full training if required) and F1 quality race analysis.